CHADAO-FEU turned back Perpetual, 83-64, to pull its record even in the 2019 PBA D-League Thursday at Ynares Sports Arena in Pasig. Cameroonian bruiser Patrick Tchuente conspired with Ken Tuffin as the Tamaraws gained early headways with a 12-0 outburst to end the first period and grab a 26-14 lead, using that run to preserve a cushion that never dipped to as low as 10. Tchuente unloaded 12 points and seven rebounds as he continues his recovery from a ruptured knee, as Tuffin got seven points and eight boards in the game, where Chadao-FEU held a 25-point lead, 80-55 with 2:27 left. 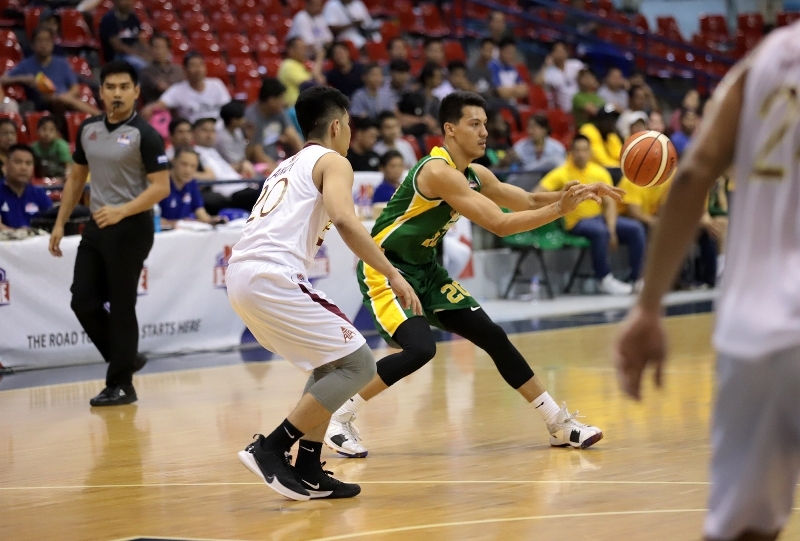 Branrey Bienes topscored for the Tamaraws with 15 points, two assists, and two steals, Wendel Comboy nabbed 14 points and four boards, and Barkley Ebona had seven points and nine rebounds in the victory. Chadao-FEU limited Perpetual to just 29-percent shooting clip, as the Altas also committed 18 turnovers. Ben Adamos carried the Altas with 23 points and 13 rebounds to fall down to 1-4. CHADAO-FEU 83 — Bienes 15, Comboy 14, Tchuente 12, Flores 8, Ebona 7, Tuffin 7, Gonzales 5, Cani 4, Stockton 4, Gloria 3, Celzo 2, Nunag 2, Bayquin 0, Jopia 0. PERPETUAL 64 — Adamos 23, Charcos 9, Peralta 7, Egan 6, Martel 4, Guissani 4, Cuevas 4, Tamayo 3, Sese 2, Razon 2, Pasia 0, Lanoy 0, Labarda 0. Quarters: 26-14, 41-29, 59-48, 83-64.